No killer antimalarial drugs in circulation – NAFDAC – Royal Times of Nigeria. 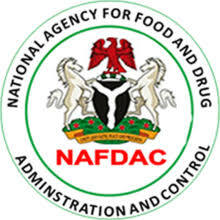 The National Agency for Food and Drug Administration and Control (NAFDAC) has said asked Nigerians to dismiss reports that there are killer antimalarial medicines in circulation in the country. NAFDAC‘s Acting Director-General, Dr. Yetunde Oni said this at a press briefing in Lagos on Tuesday. Oni stated that the approved malaria treatment in the country were the artemisinin combination therapy. she stated: ”We want to correct the news that 42 banned anti-malarial medicines are still circulating in the country. The allegedly banned antimalarial medicines are oral immunotherapies containing single active pharmaceutical ingredients that have been banned since 2005,” .